in News—A publication of the International Child Foundation. 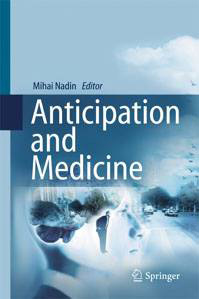 A renowned scholar in fields as diverse as electrical engineering, computer science, semiotics, and human-computer interaction, Dr. Mihai Nadin, since 1985, has devoted his research to anticipation, i.e., anticipatory processes that define the living, and how they relate to creativity. He maintains that creative acts are driven by future possibilities. To create something that never existed before cannot be based on reaction. Even a downhill skier or a tennis champion is creative; in returning a very fast serve (and no two serves are ever the same), the player anticipates where the ball is heading. Dr. Nadin is interested in the individual and society, and how the two can support creative processes. Based on his experiences under communism (but also with consumer society), Dr. Nadin is convinced that heavy regulation or control hinders the flow of creative expression. To facilitate as many choices as possible can be a great stimulus for everyone, whether in education, sports, business or self-expression. In his much acclaimed 1997 book “The Civilization of Illiteracy,” Nadin describes how a society of one dominant literacy has progressed towards one of many literacies. The new “languages” are more effective because they are more expressive. The languages of rhythm, of color, of texture, of movement together with those of programming make possible new forms of creativity. Literature and verbal communication will continue to rely on “natural” language, but new “literacies” will continuously emerge, some through new form of artistic expression. The science of sounds and sonification (the use of non-speech audio to convey information) is one of them. Semiotics is concerned with everything we use to express ourselves. Of course, creativity is semiotically expressed: through sounds and images, or through the symbols of mathematics. Knowledge of semiotics led him to study the works of Brancusi, the famous Romanian sculptor, and other artists engaged in creative acts (theater, dance, painting, music, literature, etc.). Having worked in this field all his life, Dr. Nadin remains firm in his belief that computers—as spectacular as the development of digital technology might be—are by “far not as good as a creative human being.” Computers and their programming languages are the intermediary, the “agent” through which feelings, emotions, thoughts and ideas are expressed. Computers support human creativity in ways never before considered possible. He grew up in a city with people from diverse backgrounds and identities: Romanian, Hungarian, German, Bessarabian, Polish, some Christian, some Jewish, professionals, peasants, teachers, workers, ideologues, artists… At a very early age he believed in human diversity and the expression of individuality. He grew-up fascinated by the uniqueness and diversity of every human being. The many different forms of creativity, expressed in dancing, singing, writing and reciting poetry, became part of him. After finishing high school, and still spurred by a desire to understand creativity, he studied engineering and computer science at Bucharest Polytechnic. One of his mentors, a leading mathematician confused by Nadin’s “crazy” idea, got him access to the computing center of the University. Nadin began to learn how to create images with the computer at a time when studying computer sciences and working with computers was revolutionary and regarded with suspicion. Dr. Nadin has authored more than 250 publications. He holds a post-doctoral degree in Philosophy, Logic, and the Theory of Science from the University of Munich. Since 2004, he has been the director of the Institute for Research in Anticipatory Systems at the University of Texas, Dallas. Most of his work has focused on human creativity, how to discern and analyze it and how to inspire others to be creative. He maintains that anticipation, the main subject of his research, drives creativity.